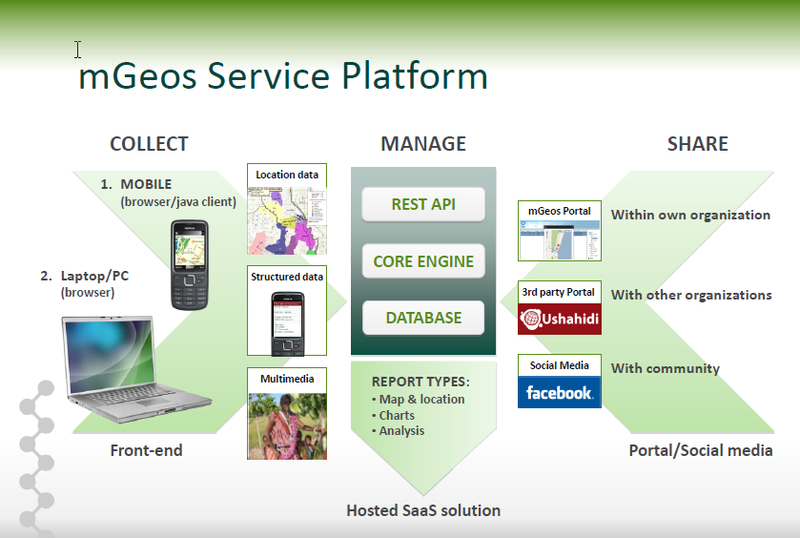 mGeos: a mobile mapping tool | Wait... What? hi. Great post thanks. 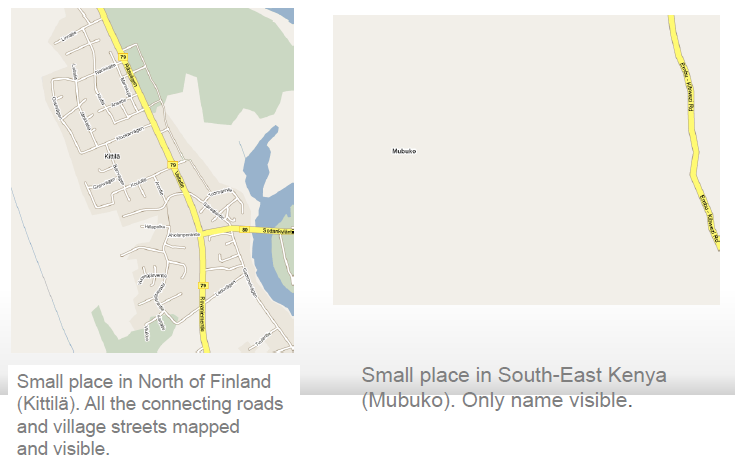 I have been working with the group Map Kibera who are supported by the openstreetmap people. I think we all agree that a decent mobile phoned based GPS program would be incredibly helpful. There’s many shoulders of giants, existing open source projects to build off of here, and a whole community of willing collaborators. My biggest recommendation … leverage the projects and data that are existing, rather than role out completely new technology. You’ve correctly identified the niche for a usable, open source, basic mobile app for collecting map data. 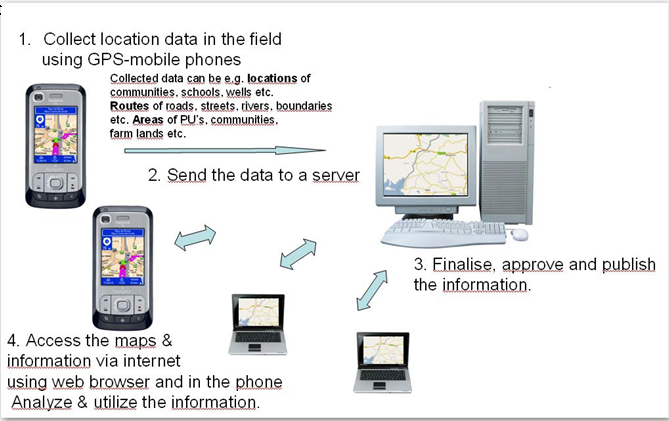 There are great smart phone apps, but not for basic phonesThe specification summarized here seems well thought through. .
OSM can function well as the base map and database. As for phone apps, there are several starting points, depending on which phones are being targetted. Anyhow let’s talk more to see if it’s possible to sync up the technology development. Both support multiple map formats and creation of map data, in particular points, lines and polygons. mGeos runs on most standard mobile phones costing a fraction of Windows Mobile devices. The application itself is free of charge, but is part of an overall data collection SaaS solution with an monthly (yearly) fee that depends on the number of users. If our SaaS services is not desired it is possible to agree custom specific projects in which we deliver the data directly to a customer’s database with project specific pricing. mGeos does not support multiple map formats, instead it is a tool for collecting Point-of-Interest data only. Later releases this year will support collection of route and area data, but in a compact proprietary format which is then transferred to a desktop client, that can convert the data into any desired format. Currently the desktop client supports storage directly into our own database from which data can be accessed via a web service interface in a proprietary XML format for further user. The desktop client will support other formats based on market demand. In a nutshell: ArcPad and gvSig mobile are tools for defining maps, mGeos is a tool for collecting data about points-of-interest with some limited capabilities for defining map data such as routes and areas. The specifications vary, but there is some very good software here. If anything looks viable here, happy to connect with the software developers. Linda, thanks for this discussion and source review of mobile GIS. 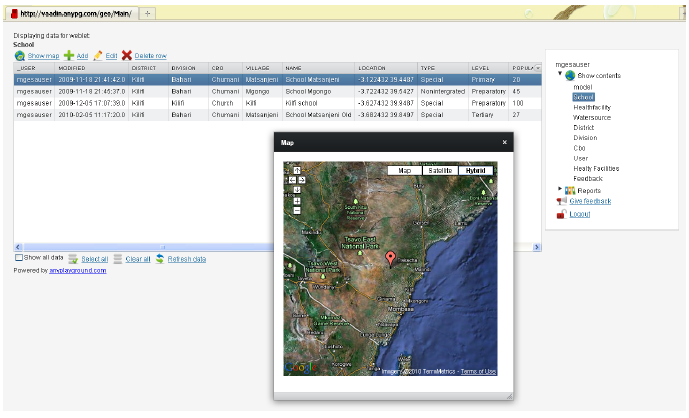 I have recommended and used ESRI Arcpad for a number of years. I’m sorry, but device and software $-unfriendly to NGO’s. SaaS is a perfectly equitable model for all stakeholders. The Cloud is here…..
It’s only about my curiousity on gadgets stuffs, and I want to write it on my own blog, but I can’t make mine as good as this one. I’ve been visiting a manysite from every where, searching another blog references, articles etc, I like this blog and I believe this is the result from your blogging activities hardwork, But I will try to make it better than ever, I hope you would be my online friend, God bless you mate, and thanks for let me comment, from the bottom of my heart. Best regards.